Eggs contain: tryptophan, selenium, iodine, vitamin B2, B5, B12, mylobdenum, phosphorus, Vitamin D, lutein and they’re a great source for choline – something 90% of Americans are deficient in. Eggs also contain vitamins and minerals that help reduce the risk of macular degeneration and cataracts, those that help prevent blood clots, many that are good for your heart. 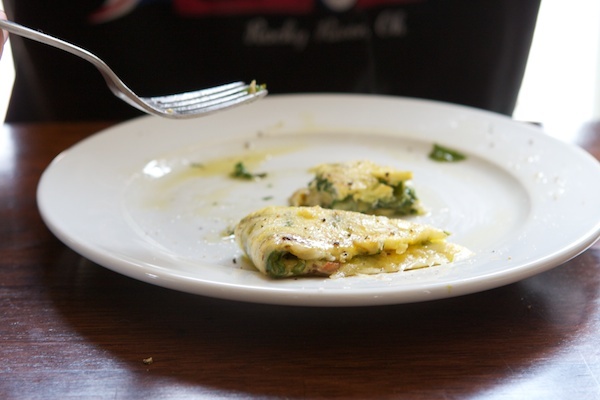 Eggs are also fantastic because they are so quick to make and they can be cooked up in a variety of ways. Mr Chiots and I eat eggs every morning for breakfast and never get sick of them. Sometimes we have the traditional eggs with bacon and potatoes. Other times we enjoy them scrambled. Eggs also pair perfectly with vegetables, making it a great way to work more vegetables into your diet (something most of us should be trying to do). 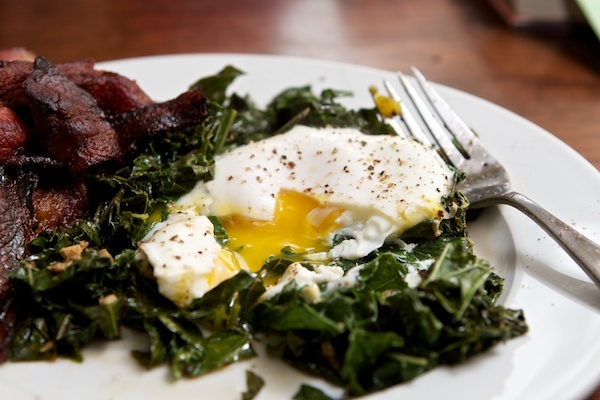 We paritcuarly enjoy eggs poached on: a bed of kale, other sauteed vegetables, or a savory tomato sauce. Eggs can also be made sweet by being baked up into a classic plain custard or mix in some pumpkin to add even more vitamins and nutrition. These little bowls of goodness are perfect for a quick breakfast or a snack on the go! Food is generally most healthy when it’s the least processed, with the exception of fermentation, which usually increases the availability of vitamins – think sauerkraut, yogurt, sourdough bread, etc. By “processing” I’m referring to big factory processing here, not cooking at home (which is technically a form of processing). The protein in textured vegetable protein does not equal the protein in an egg. Maybe it does on paper, but it doesn’t take a chemist to see the nutritional superiority of an egg. I bet you can tell which one I’d rather have on my plate for breakfast! 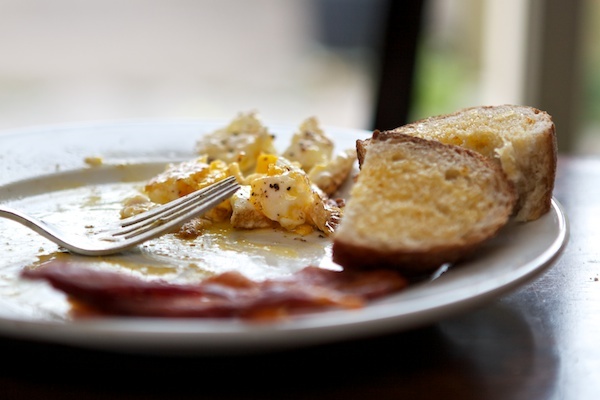 9 Responses to Why Wouldn’t You Just Eat An Egg? I asked my husband the same thing when that commercial came out. Almost every morning I fry up an egg with some onions and peppers, stuff it in a tortilla with some cheese and salsa and I have the perfect to-go food that I can eat while I take the kids to the bus stop. I’m wondering what kind of oil you use in the kitchen for baking, if canola isn’t an option? I’ve heard that it’s fallen out of favor lately, but I’m wondering what’s better for things like muffins, quick breads, granola and things like that. What do you use? What are some other (hopefully affordable) alternatives? Coconut oil or butter is what I use in baking. For baking I like the fragrant coconut oil or butter. If you gently warm either oil in a skillet it will replace oil beautifully in baking recipes and give them a much better flavor than canola oil. 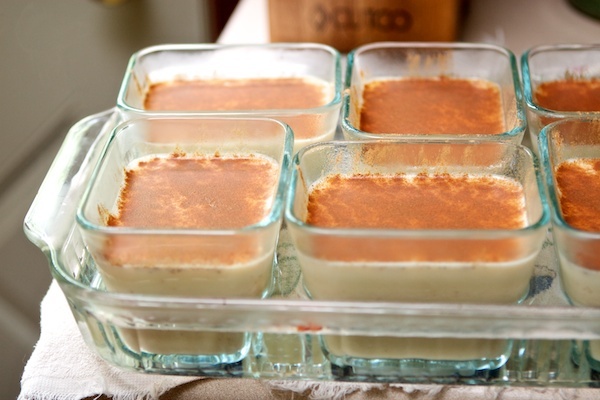 Egg custards! Those look divine. I will be making some ASAP. Thanks for the inspiration. Generally due to time constraints, cooked eggs are for the weekend. I get up at 4:30 every morning and pack lunch, so don’t really want to be cooking at that hour. I like to have some hard boiled eggs in the fridge for salads or snack. We don’t have a local farmer for eggs, so I purchase “organic” at the store. My dream is a “movable coop” and some chickens so we will then know exactly what they have been eating,and how fresh they really are. I realized yesterday that we have three dozen eggs in the refrigerator (all from our chickens) because I had gotten out of the habit of cooking them in the morning. Actually, I always kind of lose my taste for them when I’m pregnant, but in the nursing phase after the baby is born? Then I must–MUST–eat at least two eggs for breakfast, preferably with bacon or sausage, or there will be no getting through the morning. My body knows what it needs to keep both me and a small baby alive and thriving, and believe me, it ain’t Kashi. So I guess I should start my stockpiling right around June, then. Good thing this next kid is going to be born during the prime laying time. I make scrambled eggs every morning for my 14 yr old son. Perfect protein for a growing athletic boy! I love that our neighbor has a variety of chickens and they lay both green and blue eggs as well as speckled brown, they are just lovely to look at and my kids get a kick out of them! Why wouldn’t you just have an egg, besides Kashi just gives you gas!